The FSV40 series solenoid valves come in sizes from 1/4" to 2", normally closed or normally open. All are supplied standard with a strain relief electrical conductor for 2-wire plus ground 18 gage cable. Note: Comes complete with strain relief electrical connector for 2-wire plus ground 18 gage cable and operator's manual. 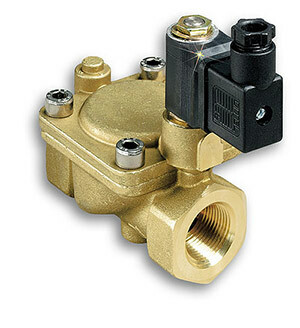 The FSV40 series solenoid valves come in sizes from 1 / 4 to 2", normally closed or normally open.